You're in love, and it's the real thing. You have made a joyous decision together—a decision destined to change your lives forever: You're getting married! Now, as you plan your wedding celebration, it is time to lay the foundation for a lifetime of love and romance. 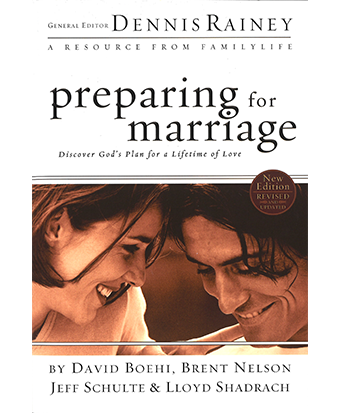 Today you can begin the important, lifelong task of building a strong Christian marriage. Created by FamilyLife, one of America's leading marriage and family ministries, Preparing for Marriage is a dynamic, comprehensive program designed to help you prepare for life together after the cake is cut and the guests head home. That is when the real adventure begins—the adventure of creating an intimate, lasting, and biblical marriage!